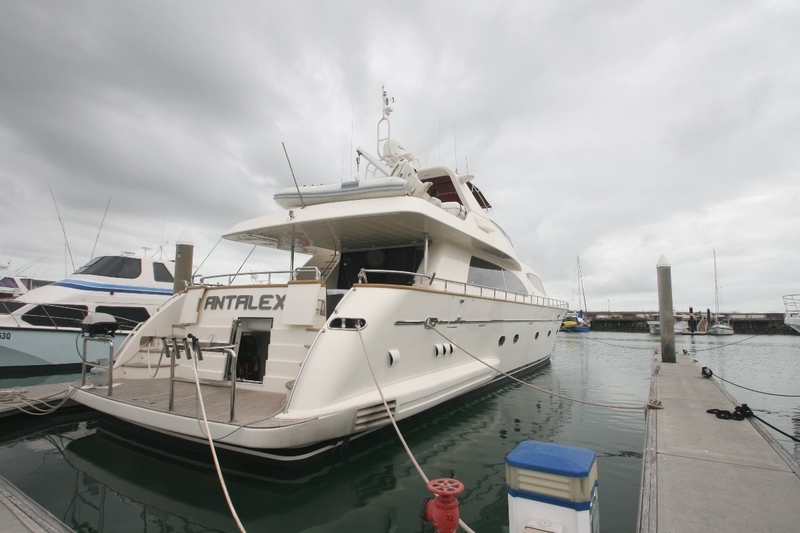 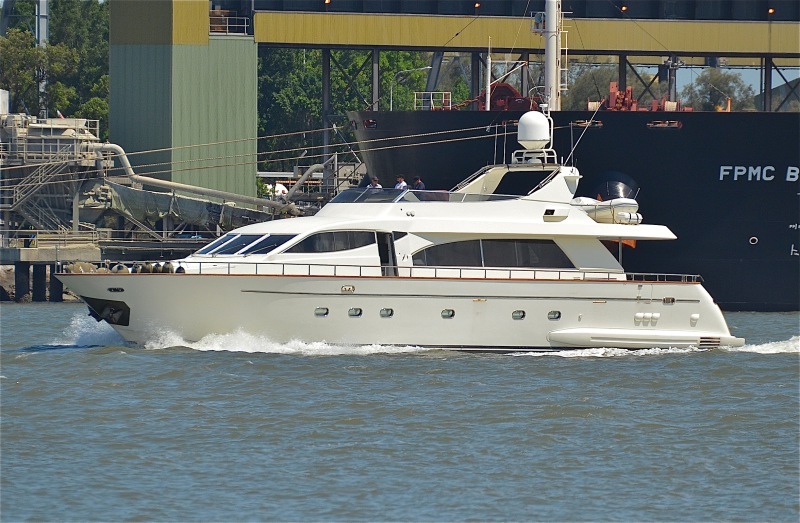 ANTALEX is a 26m (88ft) Falcon 86 Yacht built in 2002 and refitted in 2009. 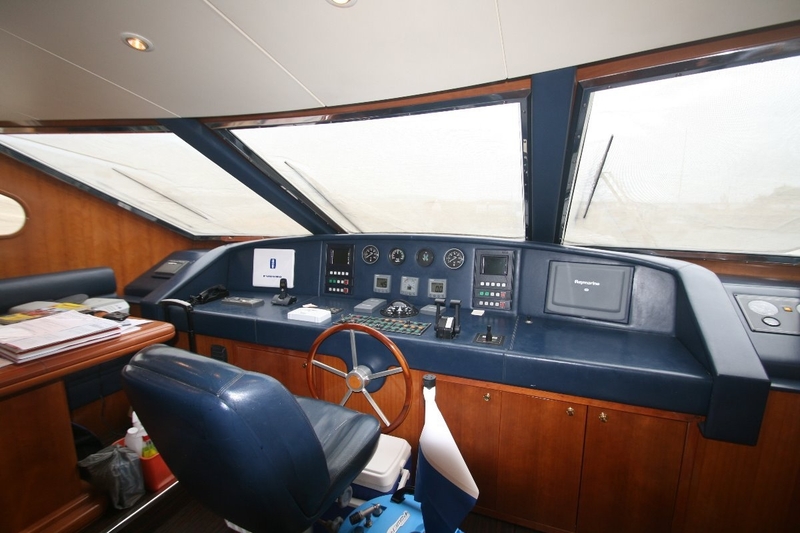 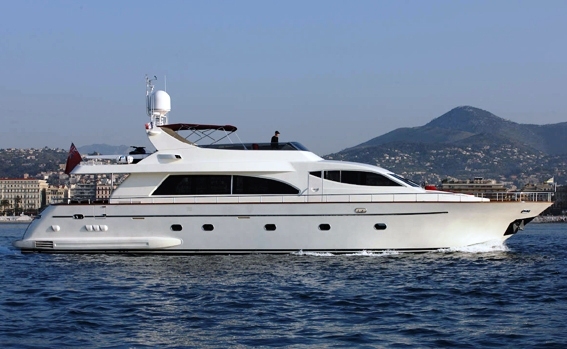 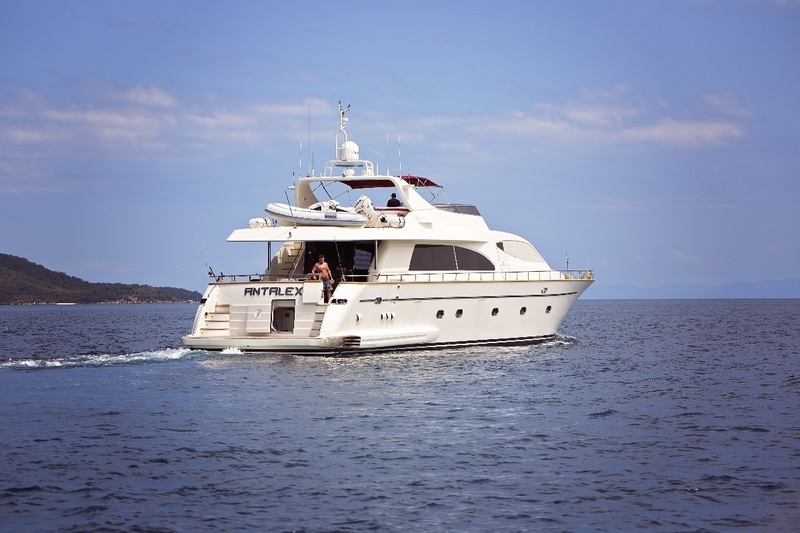 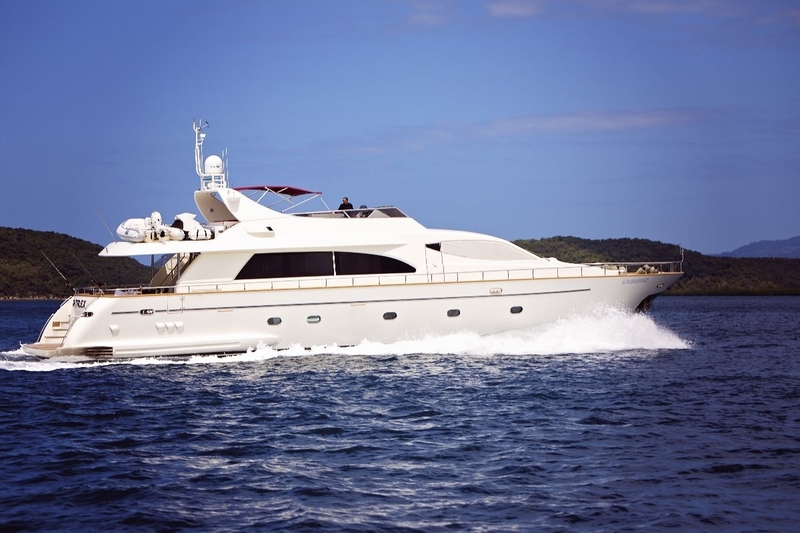 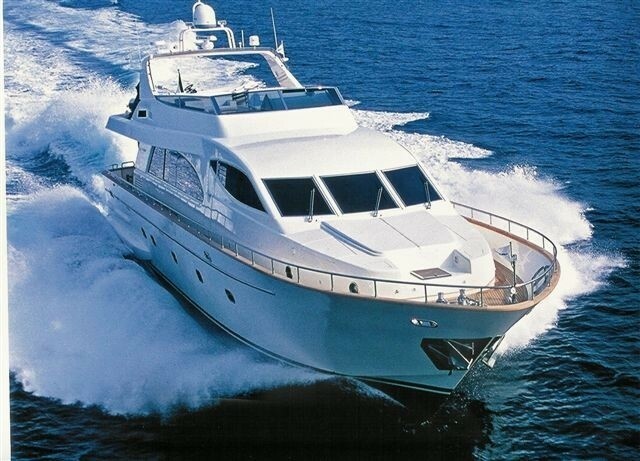 She combines high performance cruising of 20-26 knots with a comfortable interior and efficient layout. 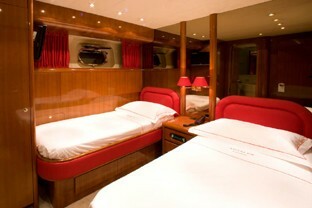 She can accommodate 8 guests in 4 staterooms. 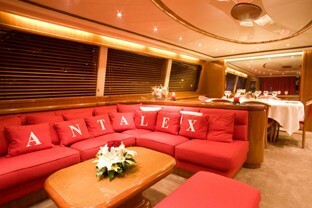 ANTALEX’s interior is smart and stylish with splashes of red throughout. 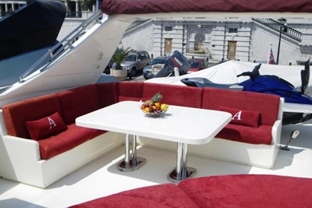 Her spacious salon features a large comfortable L shaped couch with coffee table with a formal dining area further forward. 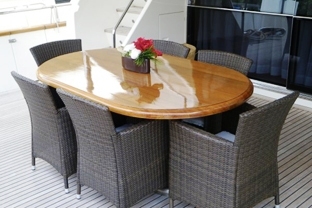 Her great high gloss timber interior layout is enhanced by the yachts spacious exterior areas. 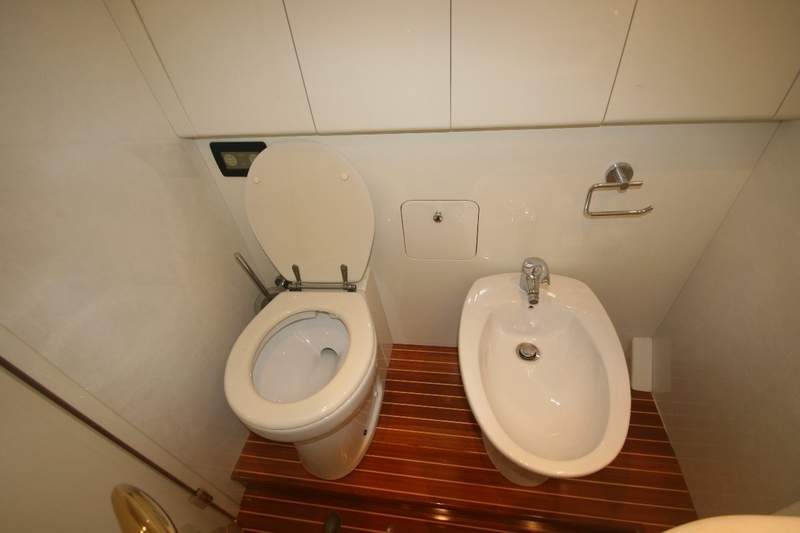 She has a fully appointed galley with customised cutlery and crockery. 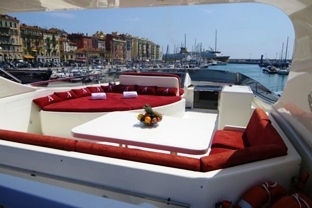 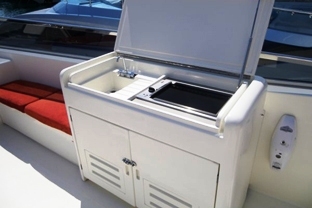 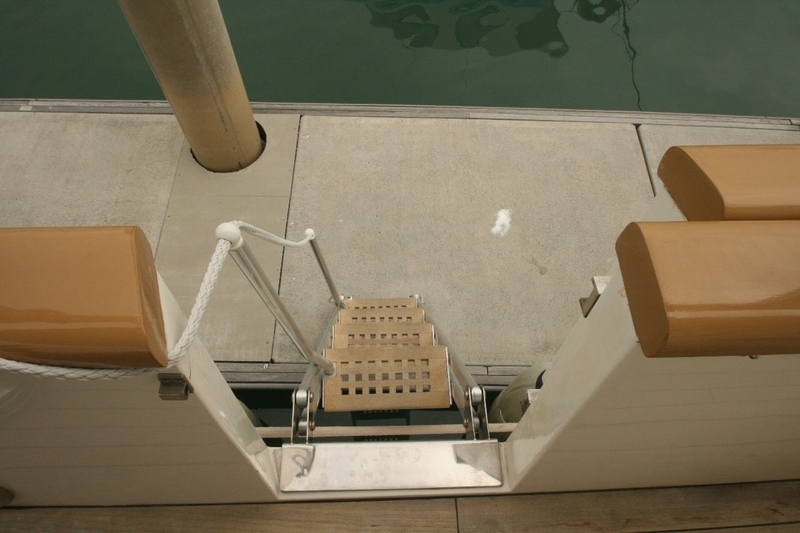 The yacht features a combination of open and covered deck spaces. 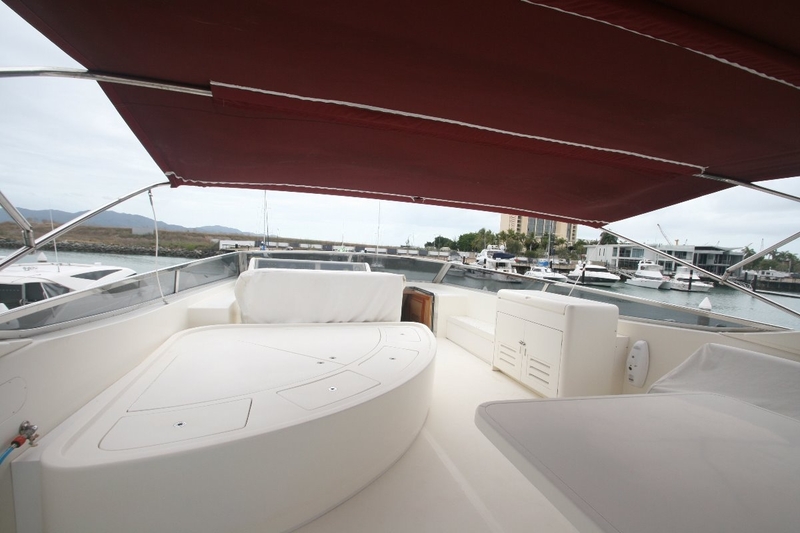 Her spacious deck areas provide ample room for sunbathing, to spend time taking in the panoramic views or to eat al fresco under the shade of the bimini. 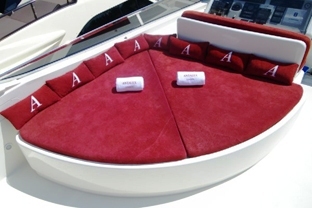 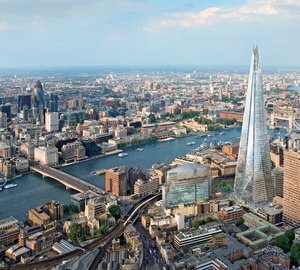 There is plenty of space for guests to soak up the sun on the sunpads on the sundeck and forward of the bridge. 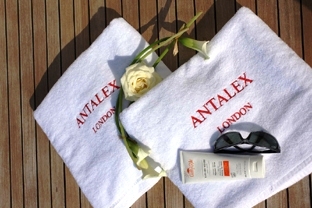 ANTALEX has a professional crew of 4. 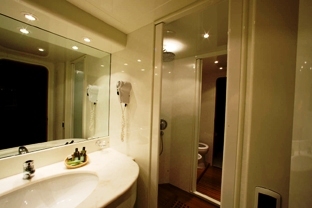 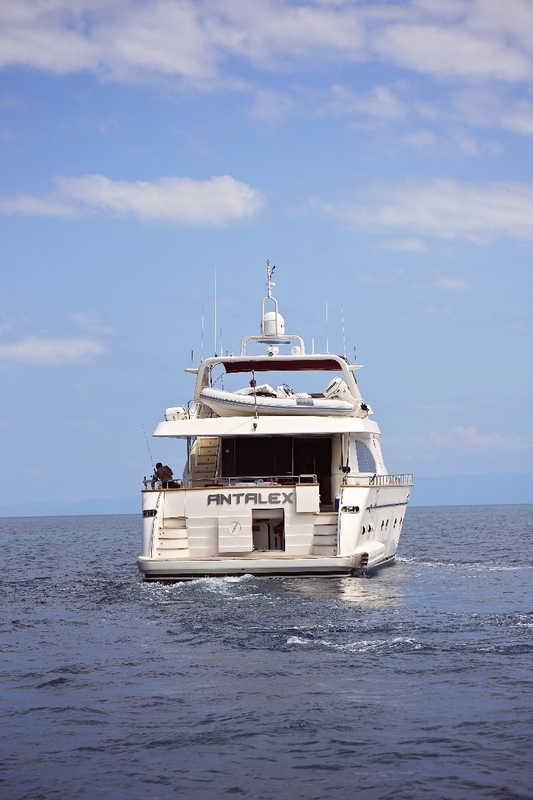 ANTALEX can accommodate up to eight guests in four staterooms including a Master stateroom, a double cabin and 2 twin cabins all located on the lower deck. The cabins are equipped with a TV with DVD and CD radio player and all have ensuite facilities. 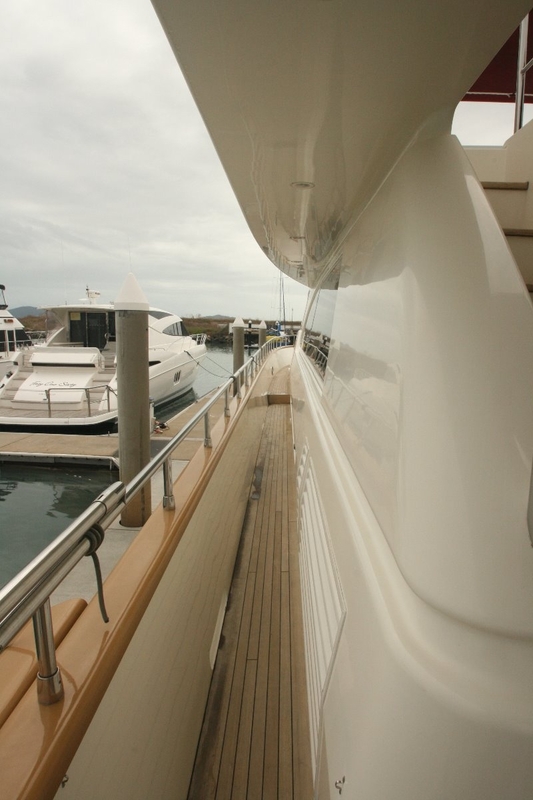 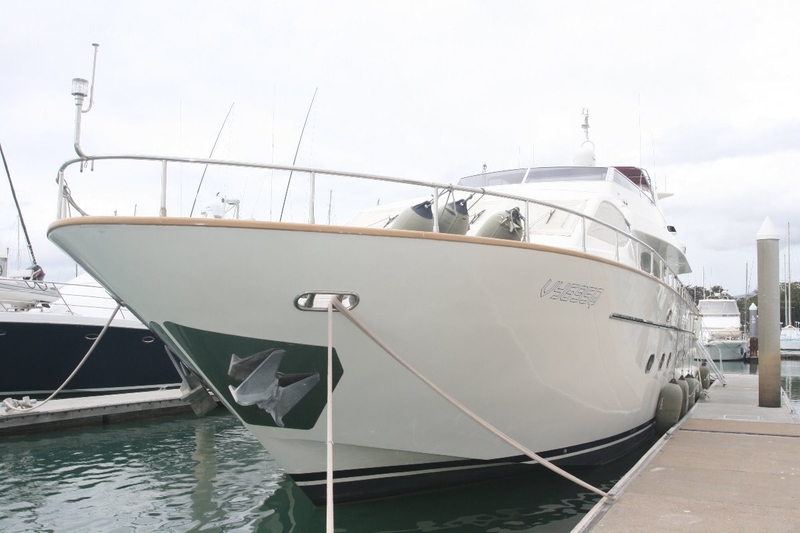 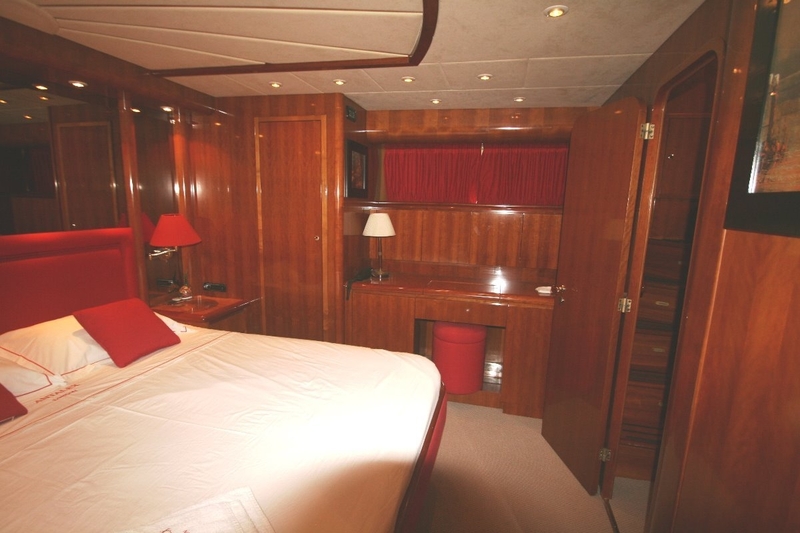 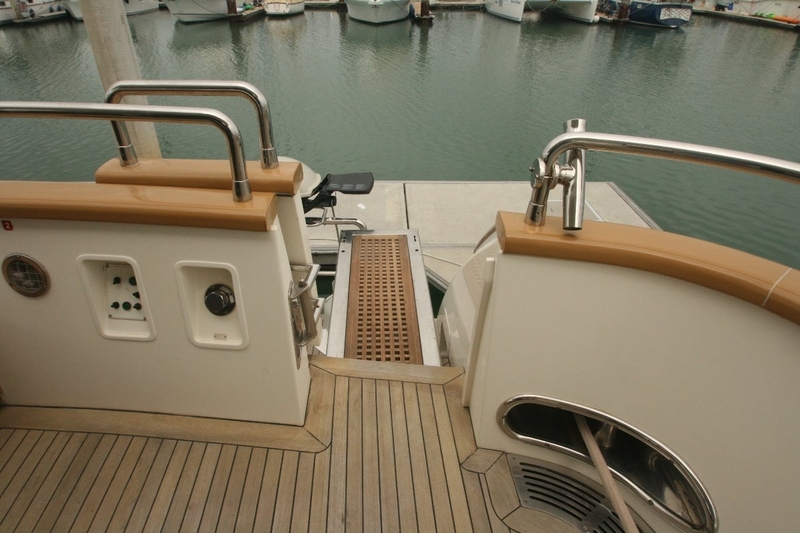 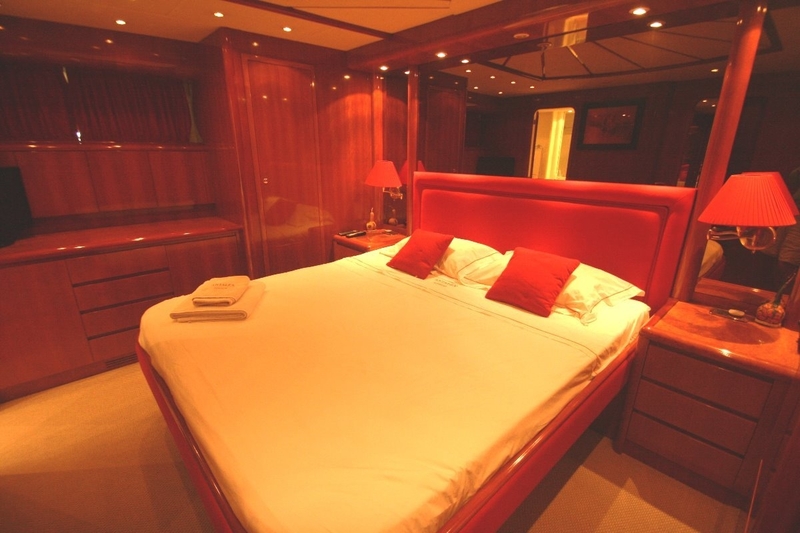 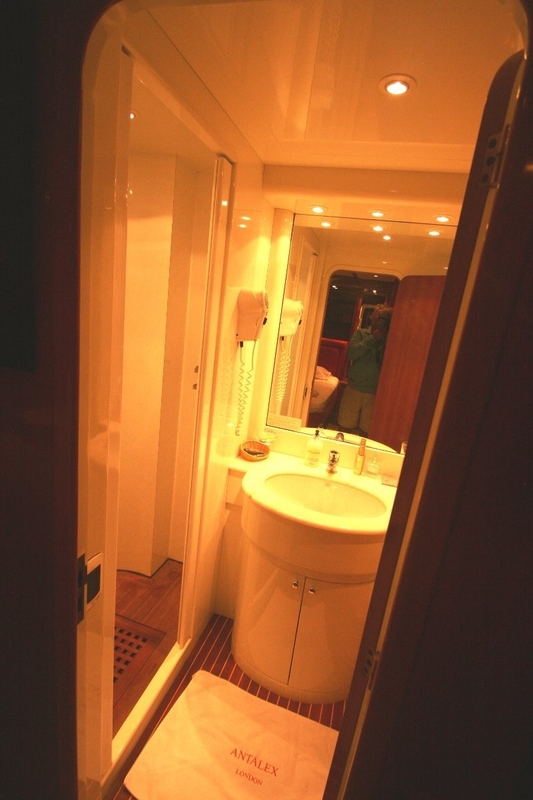 The master is aft full beam with walk in closets and a sofa for two with beautiful high gloss woodwork throughout. 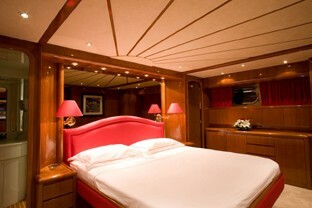 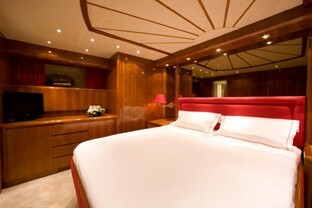 Forward is the VIP, Port and Starboard guest staterooms. 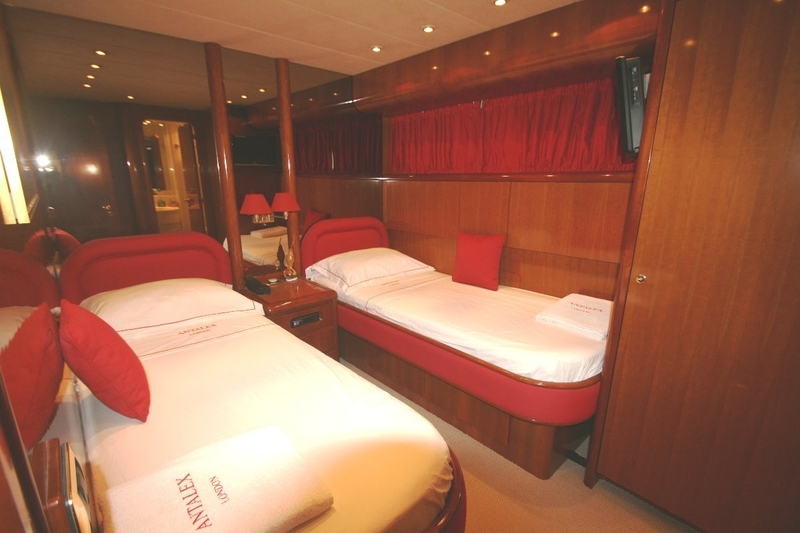 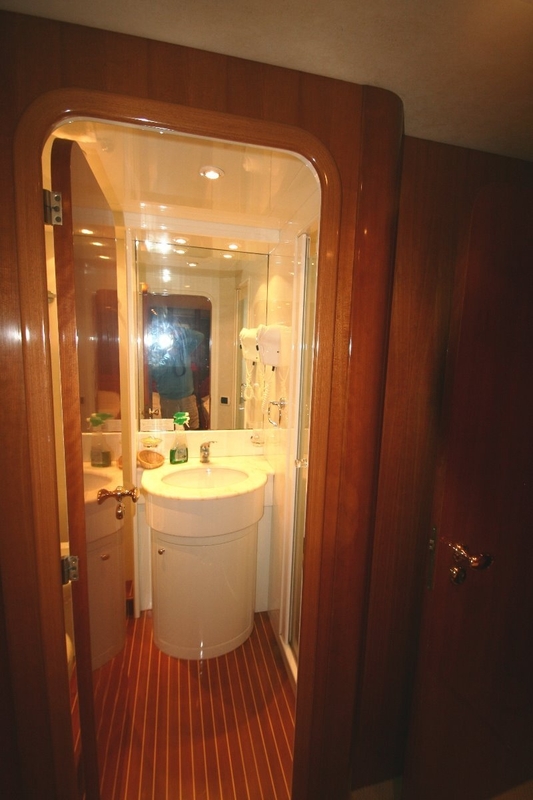 Captain's quarters forward with two separate cabins and ensuites and day head on the main deck. 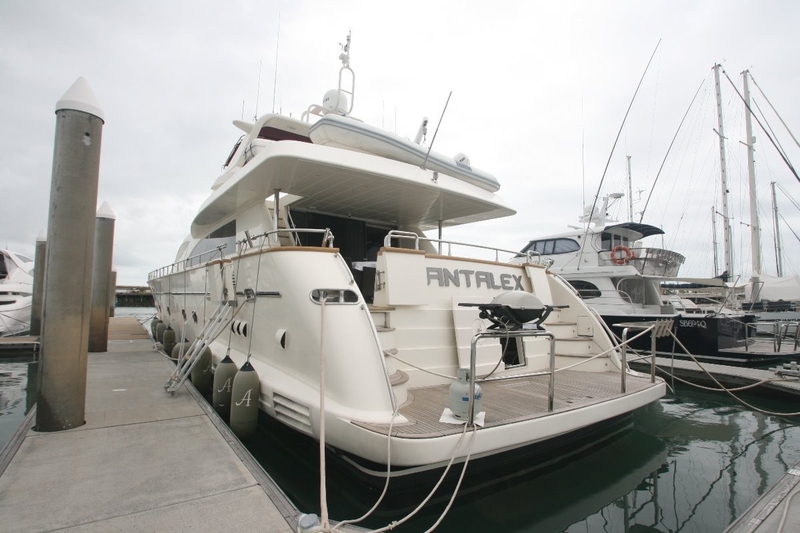 Falcon motor yacht ANTALEX has a range of extras on board including: a 3,70m Novurania tender with 30 hp, a Jet ski Yamaha GP 1300 2 seats, Snorkelling equipment, a Wake board, Donuts. 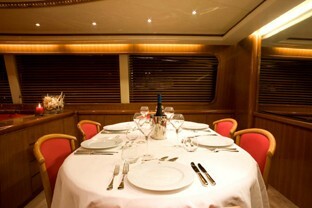 Audio Visual Equipment and Deck Facilities include TV : salon 112cm , master and VIP 60cm, twins 50 cm. 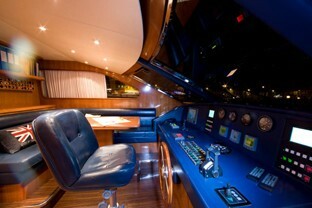 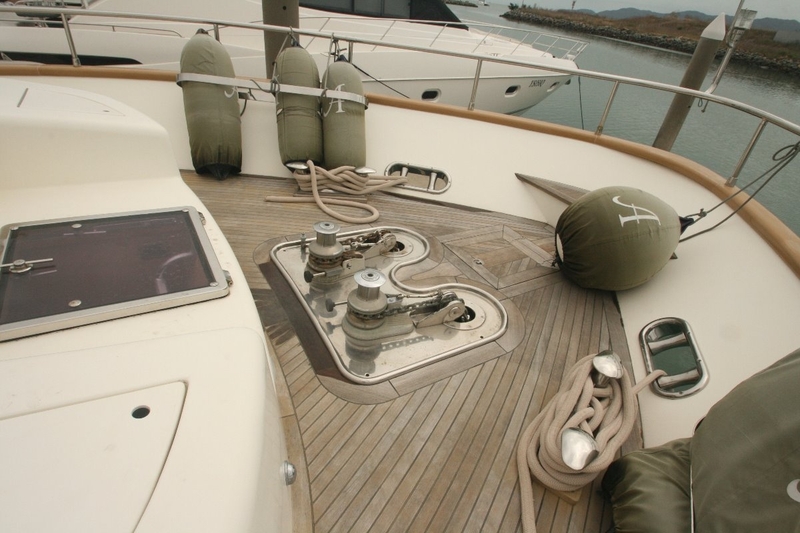 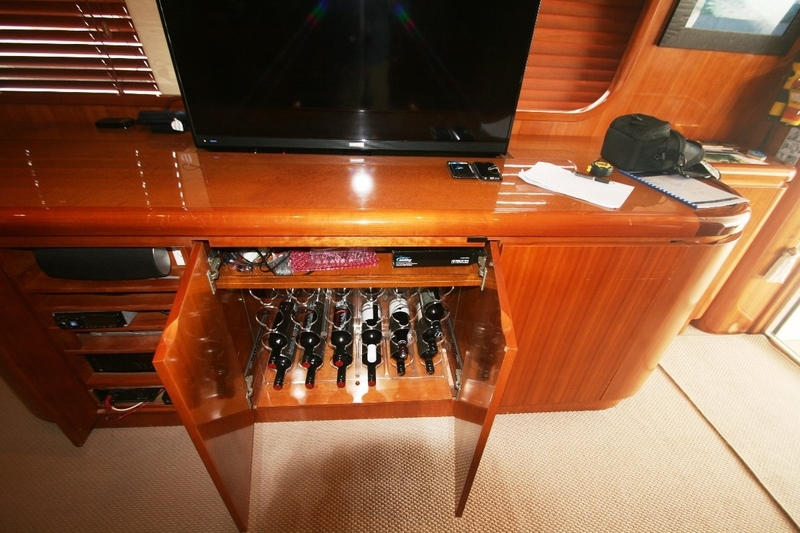 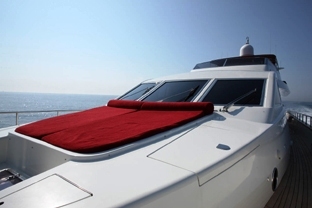 Falcon Yachts are well known for their ease of speed and comfortable accommodations.